Multistage automatic return hydraulic bolt tensioner. 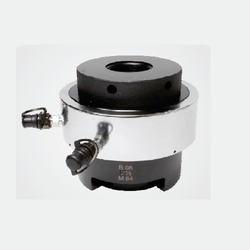 With a firm commitment to quality, we are involved in offering a wide ambit of Hydraulic Bolt Tensioners. Hydraulic Bolt Tensioner & Nut for loosening & tightening Bolting Joints, Reliable, Safest Fastest, accurate method. Applicable to Oil & Gas (Offshore & Onshore), Refinery, Petrochemical, Fertilizer, Steel, Power, Mining, Wind Energy, Marine, Shipyard Industries. Hydraulic Bolt Tensioners are the simple and efficient answer to common stud and bolt tightening problems. 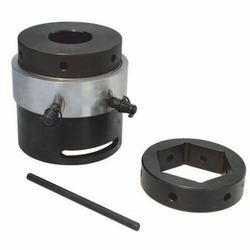 The range of hydraulic bolt tensioners in our store is suitable for purposes like bolt tensioning, wherein the bolts are loosened or tightened by stud tensioning. These tensioners allow for loading multiple fasteners in a joint at the same time. Owing to such utility, these find application in heat exchangers, boilers feed pumps, pipelines flanges, anchor bolts, and pressure vessel.